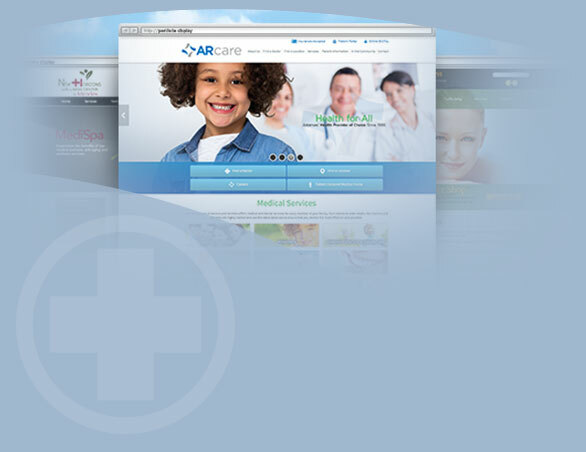 At iHealthSpot, all we do is online marketing for medical practices. Since 2007, we've been helping doctors, nurse practitioners, hospitals and other medical providers grow their brands online, find new patients and engage with current patients. From custom responsive websites to reputation management and social media, we know how to successfully market medical practices online. Our team of writers, designers, developers, search engine specialists, marketing experts and client services professionals has helped thousands of doctors make the most of what the web has to offer. At the same time, because we understand the medical space better than any other website provider, we ensure that patients get the information they need when they need it, and that if they ever provide information, it is secure and protected. As the medical field has evolved, so has our company. Since our launch, we've added a secure, HIPAA compliant patient portal to help our clients meet Meaningful Use. We've added Online Bill Pay to make collecting patient payments easier than ever before. And, of course, we've guided many clients through the maze of the social media evolution - from Facebook to Twitter, Yelp to Linked In and back again. But through every phase of our growth, we have preserved our fundamental goal -- the one we built our business on: To provide the best websites for doctors possible, and the best online content for their patients. If you'd like to learn more about working with us, please contact us using the form below, or give us a call at (877) 709-0999. Call (877) 709-0999 or use our CONTACT FORM and one of our friendly sale representatives will be glad to assist you with your custom medical website design.